Ep 34 - Music to Play By! 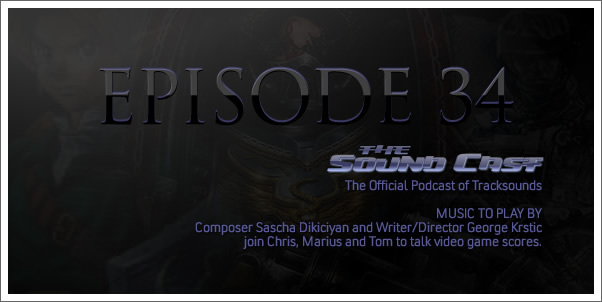 Composer Sascha Dikiciyan and Writer/Director George Krstic join Chris, Marius and Tom to talk video game scores. The battle continues to rage of The Chemical Brothers score for HANNA. Several weigh in on their early TIN TIN impressions...and beware of the Cylon podcast invasion! 03:15 — Space Marine Gush session and Contest! 07:45 — What have we been listening to?